The geopolitics of Nord Stream II are becoming increasingly complex. The second direct underwater pipeline between Russia and Germany is continuing to come under heavy pressure from the US, which is completely against its construction and even threatened to sanction those who are involved with it. Germany is the EU’s economic engine, and it receives a lot of the resources that power its factories from Russia, thereby making their energy partnership a natural example of win-win cooperation and confirmation of basic economic theories of supply and demand. That said, it’s precisely because of the far-reaching political implications of this partnership that the US is so strongly opposed to it because it fears that Moscow might make Berlin more multipolar-oriented in the long term. It would be counterproductive for Russia to “weaponize” energy exports like the US loves to fear monger about and somewhat successfully deceived Europe into believing was a cornerstone of the country’s policy after pro-American Ukraine’s mid-2000s gas disputes with Russia, but what’s really on Washington’s mind is that closer and more trusted relations between these two continental Great Powers would make it more difficult for America to dominate Germany’s foreign policy. Berlin’s subsequent “balancing” act between East and West would be detrimental to the US’ unipolar designs by its very being, ergo the provocative but entirely misleading hints about this being a “new Molotov-Ribbentrop Pact”. This rhetoric is worded as it is mainly to appeal to the Polish audience, which has an inherent paranoia of both of its large neighbors for well-known historical reasons and is therefore trying to exploit the artificial controversy over Nord Stream II in order to replace Germany as the US’ main European partner. 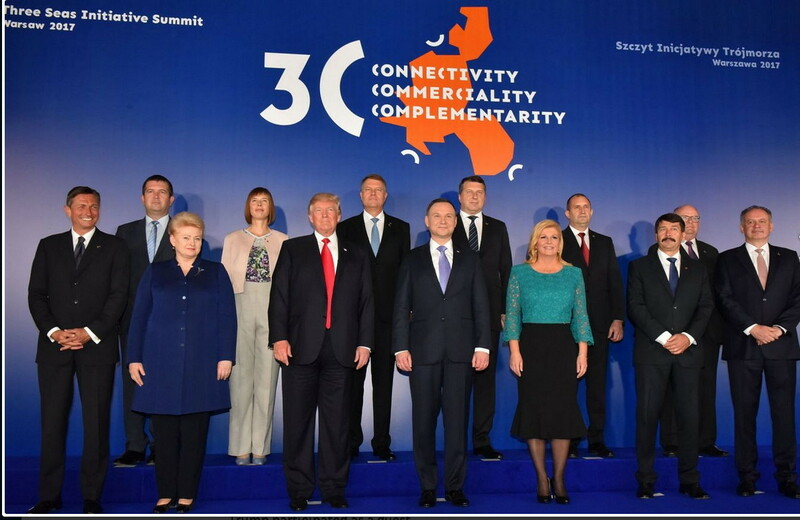 America’s interests in this happening are obvious because it intends to continue selling its more costly LNG to the continent through Poland’s Świnoujście terminal and other receptacles elsewhere, and the US also wants a more formidable presence in the “Three Seas” region right between Germany and Russia. Nord Stream II is thus a double-edged sword for the US because it would cut into its profitable LNG business but would at the same time provide the strategic pretext for “legitimizing” its expanded presence in Poland and the Baltics. The US would correspondingly be able to drive a wedge between Russia and Germany through the Polish-led “Intermarium”, which is something that it’s wanted to do for a while now anyhow, without or without sanctions against their second underwater pipeline. This development, which is already in progress but would be greatly accelerated through Nord Stream II’s construction, is intended to obstruct a multidimensional Russian-German rapprochement but might in its own way give both Great Powers the motivation to take it even further. Soooo war against Russia over a pipeline? Why the hell do they do this? Why not just tell the ,US to stick it where the sun doesn’t shine? I’m sick to death of my terrorist state! Why can’t we just leave well enough alone? We do not want another Zionist war, we do not want war with Russia and we cannot afford it either. I hope the economy collapses. It may be the only way to stop this insane psychopathic aggression. It’s my understanding that our placing sanctions on everyone keeps the US wars in business. I want it to STOP.